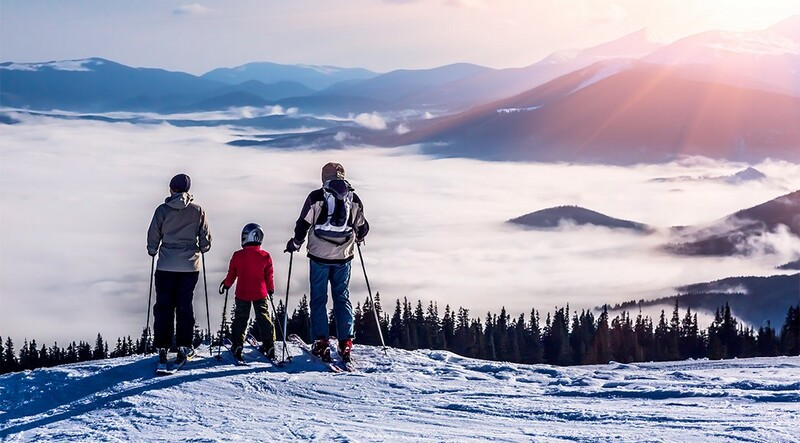 With first-rate ski schools, perfectly powdered pistes and exceptional après-ski, Europe’s ski resorts offer exciting and rewarding holidays amid some of the most breathtaking scenery in the world. Ski season in Europe usually runs from the end of November through to the middle of April, but when you go is really down to personal preference. You'll find more snow if you head out early in the season, and the slopes tend to be quieter, but temperatures will be much milder if you choose to go towards the end of the season. You'll find every type of accommodation at Europe's top resorts. Opt for a chalet for a truly authentic Alpine feel, or enjoy the opulence of a luxury hotel after a tiring day on the slopes Those on a budget will find plenty of affordable hostels, too, for a no-frills option. Thanks to its positioning at the bottom of the Alps, Milan makes for a stunning ski destination, with panoramic views from the top of the Duomo on a clear day. Meanwhile, Livigno, known locally as 'Little Tibet' is the perfect place to head to later in the ski season, thanks to its consistently cold weather and heavy snowfall record. With a range of ski routes available, Livigno is ideal for all levels of skill. While visitors often head to the busier towns to ski, it would be a shame to miss out on a stay in peaceful Chambery, where the museums and cafes are pleasingly crowd-free. At the well-renowned Val d'Isère ski resort, there are over 300km of marked piste runs, while the nearby 'Espace Killy' area - host of the World Skiing Championships in 2009 - has a trendy yet traditional feel. Just 50 minutes from Geneva International Airport, charming Morillon offers stunning scenery and a traditional village feel. This peaceful village in the Haut-Giffre valley boasts more than 265km of pistes and a range of accomodation options, from no-frills hostels to luxury hotels. Salzburg is a real delight in winter, when the towering castle walls and cathedral spires are sprinkled in snow. Conveniently located with motorway connections to Graz, Vienna and Innsbruck, there are plenty of options for skiing when you travel to Salzburg. You'll find a stunning landscape and good conditions on the slopes here, as well as hot springs in certain areas in the south of the city for an Alpine treat.